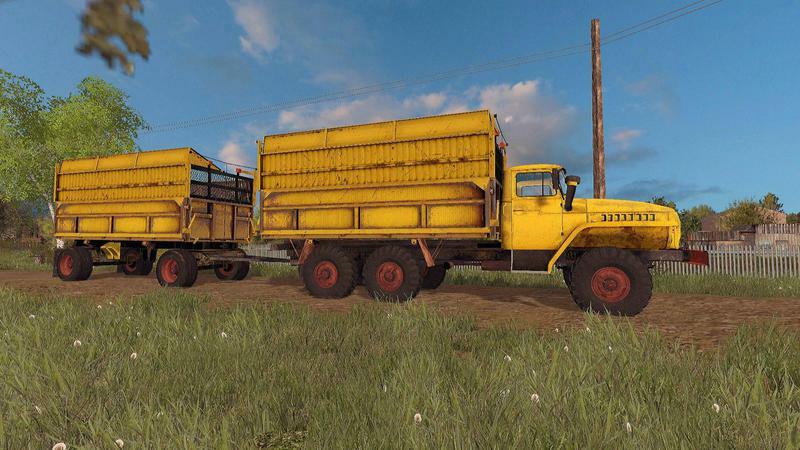 Ural 5557 side and for forage . also, there are two trailer for feed and Board. flatbed trailer and Ural transport sand, onions, potatoes, beets, and standard culture. forage trailer and Ural transport – silos chaff hay.